Motion Design’s role is becoming increasingly important for digital communication. The ever-growing video usage isn’t caused by a momentary trend, but by a globalised comprehension of its advantages. At Hi INTERACTIVE, Motion is indispensable for both our company’s communication and our clients’. In this article, we present some reasons why you should invest in Motion. Vídeo is the future of Content Marketing. That is, if it’s not the here and now. The human mind lives in constant contact with a series of internal and external stimuli, filtering them according to their importance and priority. A vídeo is intrinsically engaging and creates, conscious and subconsciously, a reaction: our eyes are attracted to movement. Therefore, Motion Design allows us not only to capture the user’s attention but also to retain it: in a time that the digital world is overburdened with information, Motion becomes the differentiating element that the user can identify with. 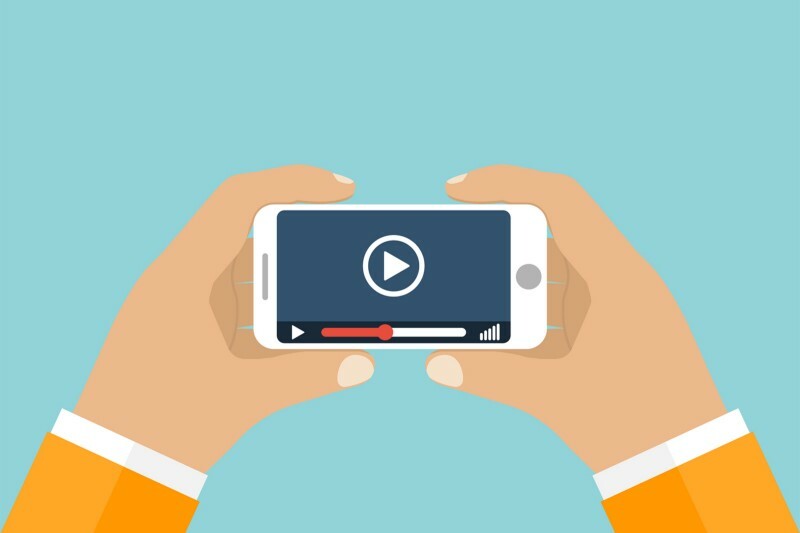 According to the Content Marketing Institute, a video with a target-focused communications significantly increases the chances of creating engagement in about 10 times. Motion Design brings together the advantages of many digital subjects, becoming piece with the power to complement all the other supports of a company, brand or product. A video provides the ideal setting for withholding the message that you wish to communicate, through the graphic environment, the movements and the sound (music and voice). By balancing image, movement and sound in one single solution, the return of investment of a Motion Design piece is pretty motivating: according to Diode Digital, promotional videos are 600% more effective than printed information and newsletters together. The company also claims that, before reading any written content, the visitors of a website will watch a video first, if available. One of the most important communication key points is the emotional relationship with the users and Motion is one of the best ways to pull it off. Through simple details such as the movement’s dynamics, expressions and music, a video can pass on the values and the culture of a company, being extremely effective in changing the user’s attitude in both commercial and institutional purposes. This subtle call for change is what can make the user predispose to have a favourable behaviour: in fact, according to Vidyard, video’s conversion rates are much higher than other marketing contents’. Motion Design is an indispensable tool for those who wish to assert themselves in the digital market. Boost your communication >> contact us.